Here are the steps to run this example. 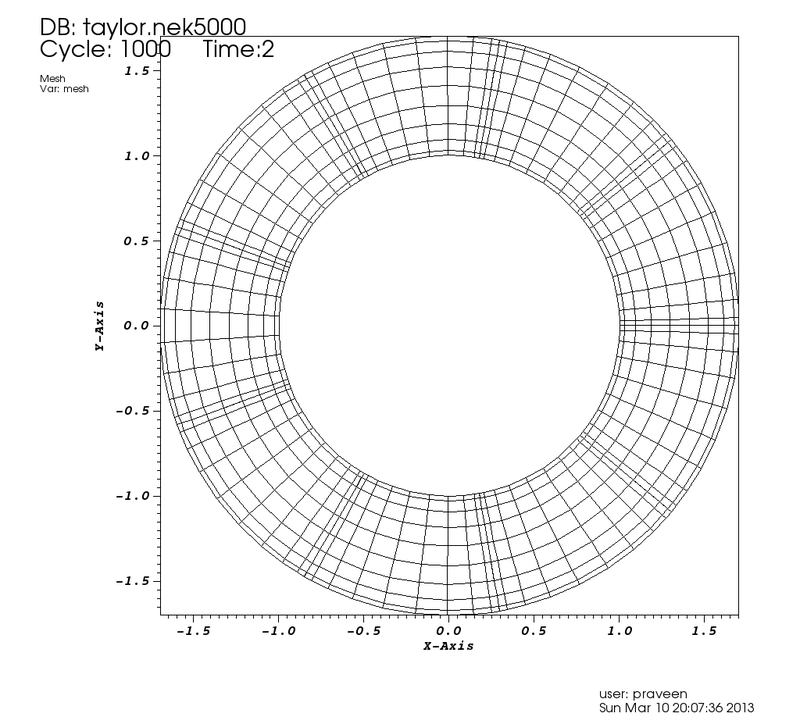 The output goes into taylor.log file which can be queried for some things. You can see the error in maximum and L2 norms. The columns contains iteration, time, max error in u, max error in v and L2 error. 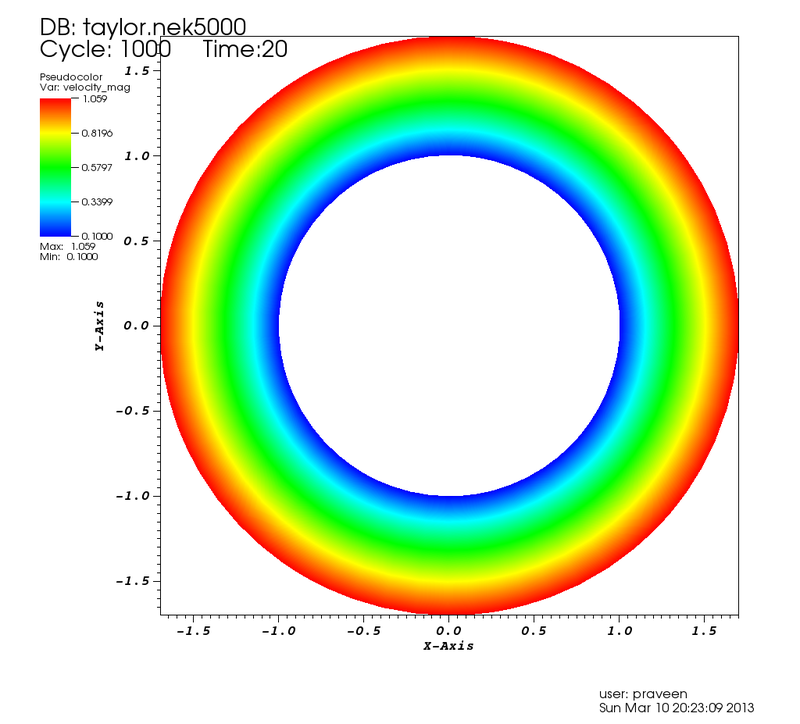 and open the taylor.nek5000 file in visit.